Why try to overshadow the show when they could just join in? 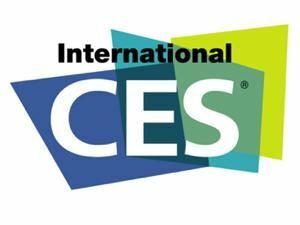 Since the late sixties, the great and the good of the consumer electronics world have met up for the Consumer Electronics Show, or CES, in order to show off their stuff. It's where you'll find the tech that's set to dominate the next 12 months, it's where you'll see the trends that will shape everything from the way you work to the things you watch on TV, and it's where you'll find completely incomprehensible bits of kit that someone, somewhere, must have thought a good idea. What you won't find at CES is Apple or Google, two firms who seem rather keen on spoiling the fun for everybody else. It's not that Apple doesn't go, or that Google doesn't go, although they don't. It's that they time their own big announcements in such a way that they annoy everybody who does. 2007's announcement of the iPhone overshadowed that year's CES, and Google seems to be up to the same thing this year by unveiling its Nexus One phone on the eve of CES 2010. This year, Apple's at it again without officially doing anything: the steady drip, drip, drip of Tablet information, including a suspiciously well-timed story in today's Wall Street Journal, looks awfully like an orchestrated attempt to overshadow Google's attempt to overshadow CES. It's all a bit playground, isn't it? The thing is, neither Google nor Apple needs to do this. It's not as if they're fledgling firms who can't get any attention, obscure innovators who can't persuade the press to cover them. It just seems arrogant, especially when you look at the technologies that were introduced at various CESes: Atari's Pong, the video recorder, the CD, Nintendo's NES, high definition TV, the Xbox… you get the idea. Anyone out there think the Nexus One will be more influential than HDTV, the VCR or Pong? Anyone reckon that an Apple Tablet would sink without trace among the HDTVs and touch-screen PCs at the rest of CES? Amazingly, the world's biggest tech show doesn't have two of the world's biggest tech firms at it. That's like having an E3 gaming bonanza where Nintendo turns up and Microsoft and Sony stay outside, shouting anti-Nintendo slogans through a megaphone. What we'd like to see is for Google and Apple to embrace CES, to join in the fun, to remember that consumer electronics are first and foremost about entertainment. It'd be brilliant - the tech Glastonbury, and we don't mean one of the rubbish years where everyone pretends to like Tom Jones. They could heckle Steve Ballmer, deliver jaw-dropping keynotes and wake up in strange rooms with Steve Jobs missing, a baby in the cupboard and Mike Tyson's tiger in the bathroom. You know it makes sense. See you next year, Sergey, Larry and Steve!